British engineer payload specialist astronaut, 1984-1986. Status: Inactive; Active 1984-1986. Born: 1947-09-15. Birth Place: Birkenhead. Royal Military Academy, Sandhurst. Bachelor of science in telecommunications engineering from the Royal Military College of Science, Shrivenham, 1972. 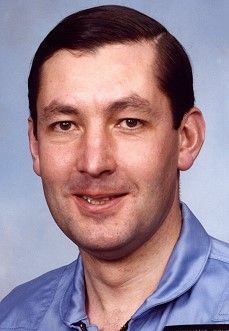 Lieutenant Colonel, Royal Signals Corps, British Army After retirement from active duty he worked with British Aerospace, then Matra Marconi Space UK Ltd., Bristol, and Paradigm Secure Communications in Stevenage, Hertfordshire. Family: Astronaut. Country: UK. Flights: STS-61-H. Agency: British Army. Bibliography: 4452, 5369. Birth of Richard Alfred Farrimond - . Nation: UK. Related Persons: Farrimond. British engineer payload specialist astronaut, 1984-1986..